Hi, lovely people! Happy New Year's Eve! Like the last couple of years, I'd like to share my end-of-the-year statistics roundup with you all. 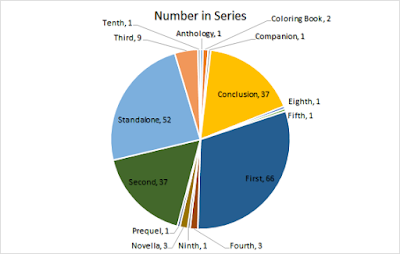 2015 was an excellent year in reading and in number! 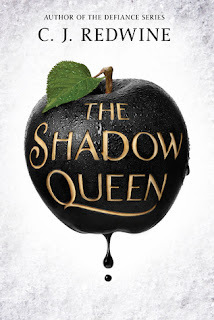 Follow Alyssa's board 2015 Reads! on Pinterest. 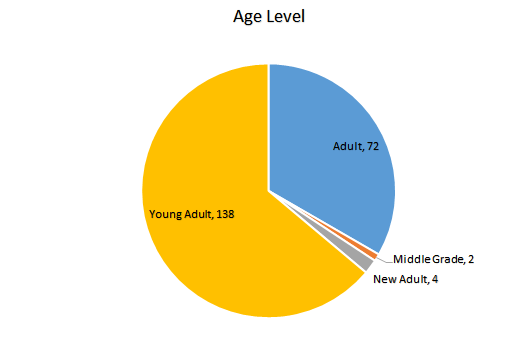 - Age Level: I more than doubled the amount of adult books I read, from 2014 to 2015! That makes me happy. Still VERY heavily YA based. 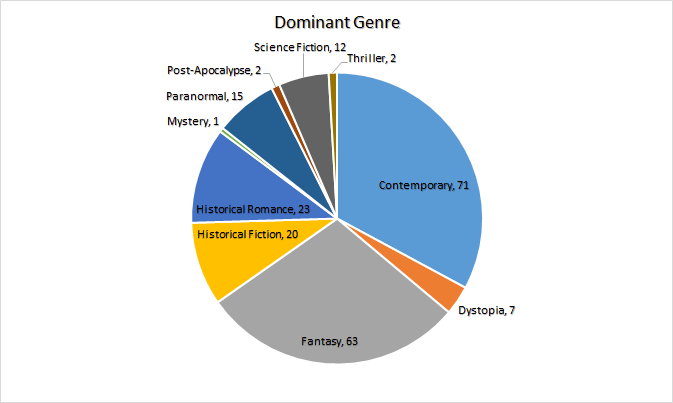 - Dominant Genre: contemporary overtook fantasy! I think it's because of the amount of adult contemporary romance books though. - Number in Series: I am so proud of myself for reading more standalones and conclusions! "First" books still dominated but YAY for completing series and not starting new ones! 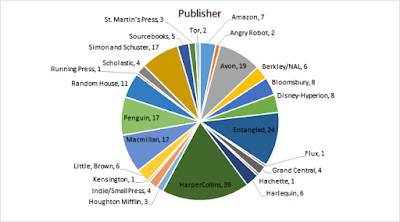 - Publisher: it's no surprise that HarperCollins dominates, in both YA and Adult. 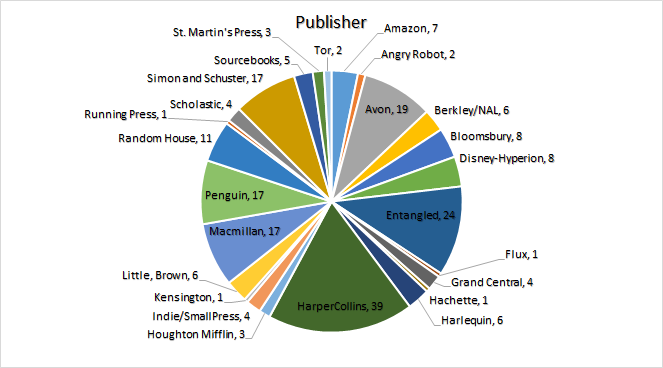 In my pie chart, "HarperCollins" refers to their teen imprints only (HarperTeen, Balzer+Bray, Katherine Tegen, etc.). Avon is actually part of HarperCollins too! An adult imprint. - Rating: Generally it seems that I like what I read. I continued to have a low amount of five-star ratings, but an even higher amount of three-star ratings. That "meh" feeling though. - Source: The number of books from the publisher (meaning printed ARCs) jumped A LOT. It overtook Edelweiss which is a huge surprise for me. O_O But I had a jump in NetGalley reads - this is indicative of the NetGalley cleanse I went on! - Year of Publication: 2015 dominated, as it should have. But this tells me that I didn't do as good a job with backlist titles as I wanted (every Friday is a backlist review day -- usually). - Get my NetGalley ratio to 100%. - Do backlist reviews (mostly 2014 though). - Comment on unfamiliar blogs. - Comment on blogs (any) without them commenting on mine first. - Do a little more on Twitter. And there you have it! The Eater of Books! 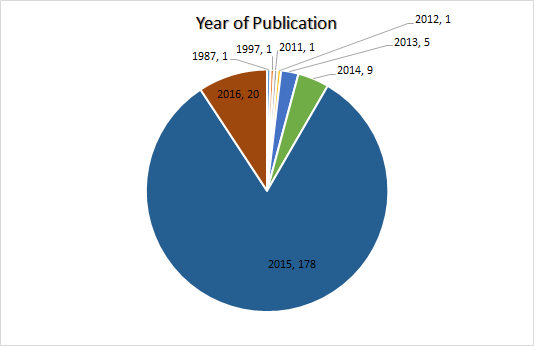 blog in terms of numbers, for 2015. I thought I had a good year, despite technically scaling back in reading (in September, I cut back from four reviews per week to three. Or I was supposed to. I did for most weeks!). I can't wait to see what 2016 brings! 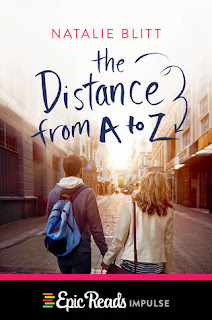 This week, my swoon is from The Distance From A to Z by Natalie Blitt! "Arrête." His voice is barely a whisper. There's a moment, a moment that lasts, that extends and separates into two moments and then four, eight, and sixteen. And then shoots back, like an elastic pulled too far, hurling toward us. And suddenly his hands are cupping my jaw, gently, and his lips are crushing mine. Like it's not close enough, like as close as he gets it's still not enough. And it's not like that night at the bar, our noses bumping. His glasses are there but I don't notice them, because his lips are the chapped Zeke lips I've been dreaming about, and I feel like everything is swirling around us, like everything is tilting and running and jumping and flying. The whole world is flying. My fingers buy themselves in his hair and I'm sure I'm thinking somewhere in the back of my brain that is shouting Oui! Oui! Oui! Oui! that I need to hold on tight. That with all this flaying and spinning and rocketing, I might fall. That he might move back. That we might hurtle to the ground. Read my review of The Distance From A to Z! Oh my goodness, this book! That isn't usually how I start my reviews, but this book deserves every reaction I had while reading and upon finishing - joy, heartbreak, mirth, embarrassment, glee, and the warm and fuzzies. 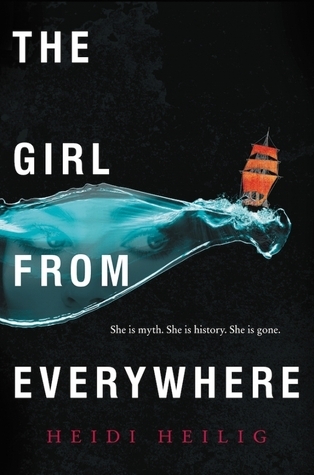 I am not usually a YA contemporary fan - I rarely like the tough-issue ones especially - but I adored this book! Abby comes from a family that is obsessed with baseball, especially the Chicago Cubs. She wants to get away from baseball, and so she's doing an eight-week class in French over the summer, in New Hampshire. As it would turn out, the only other high school student taking the French class is Zeke Martin, a huge baseball fan. They're paired as partners in the class for the eight weeks, which means speaking, writing, watching movies in French with Zeke. Zeke may love baseball, but he has a passion for French and speak the language beautifully. Even though she swears he's not for her, she falls for him. But there is something about him that doesn't add up, and Abby doesn't know if she wants to take the risk and open herself to heartbreak. I honestly LOVE how this story is written, the cadence of the story. I love how Abby and Zeke fall for each other. It's written in Abby's POV, but we can see how Zeke is falling for Abby. I love experiencing Abby's side though - the way it's written, readers can totally relate. We've all fallen in like/love with someone before (right? hopefully! It's a lovely thing, even if it goes nowhere or ends badly. ), and the author captures this beautifully. I love Abby and her strength. She IS courageous, even if she doesn't think the word fits her. She is determined and hard-working and kind (sometimes she's mean to Zeke though!). Abby's roommate Alice is such a sweetie. I love how well-written she is; she struggles with anxiety especially in large groups of people. The author captured Alice perfectly! And then there's Zeke, lovely handsome charming French-speaking smooth-talking Zeke. I admit, bilingual athletes are my type... sign me up for one of him! I love how multi-layered he is - he's so much more than an athlete who, on the surface, seems like a player. He's a nice guy! Also super swoony. SWOOOOON. I love the pacing of the romance. Honestly I wish I could read this book again for the first time, to experience Abby and Zeke falling in love all over again. It takes about half of the course, and I LOVE the weeks leading up to their change in relationship status. The "before" part, in which they are falling for each other, is so fun and swoony! There are so many swoony scenes in this book. And some steamy ones too. And some sweet ones. And heartbreaking ones. I love how perfectly Blitt captures a relationship, before, during, and after. The mixed signals, the confessions, the honeymoon period. I also love how this book was very romance-focused, but so much more than the romance. There was Alice's part of the story. And Abby's struggle with her love/hate relationship with baseball. And then there was Zeke's story and secret. I had a feeling about what Zeke's secret was. I'll say no more - but I adored the ending of this book! I loved how the author ended it; she could have chosen a dozen different was, but this one really fit. All the feels! I joked with the author, telling her that there was one line that I didn't like, and that was the only thing. Literally the only thing I didn't like about the book! I won't say one line but I will say that as a former top-seeded badminton player in my county, I didn't take that line well. LOL. No hard feelings though. I highly HIGHLY recommend this book! And hey, that's coming from me, who generally stays away from YA contemporary because she doesn't always like them. If you like books by authors like Kasie West, you NEED to read this book. Kasie West, guys. I haven't read any Stephanie Perkins but I am sure that comparison is spot on! 4.5 stars. 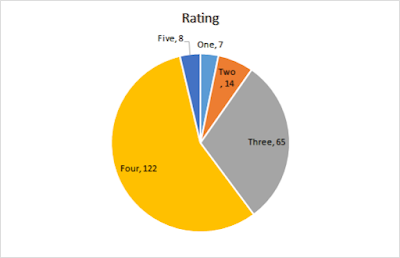 I'm rounding down to 4 stars but it's a 4.5-star-rating! I need to stop reading all of these lovely books that are definitely favorites at the wee end of the year (like Unhooked by Lisa Maxwell). I already did all of my top ten lists for 2015! This book would have made it. It is that good! Definitely worth more than the two dollars it costs. 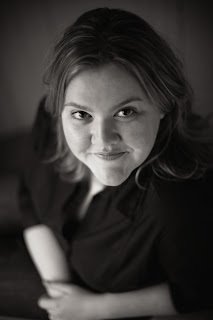 Welcome to the blog tour for The Rogue Not Taken by Sarah MacLean! 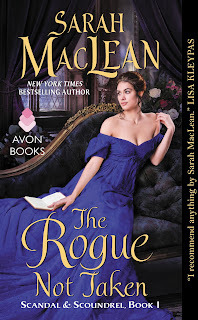 This was my first Sarah MacLean book and I LOVED it! Follow the rest of the tour HERE, read my review HERE, and enjoy the post! 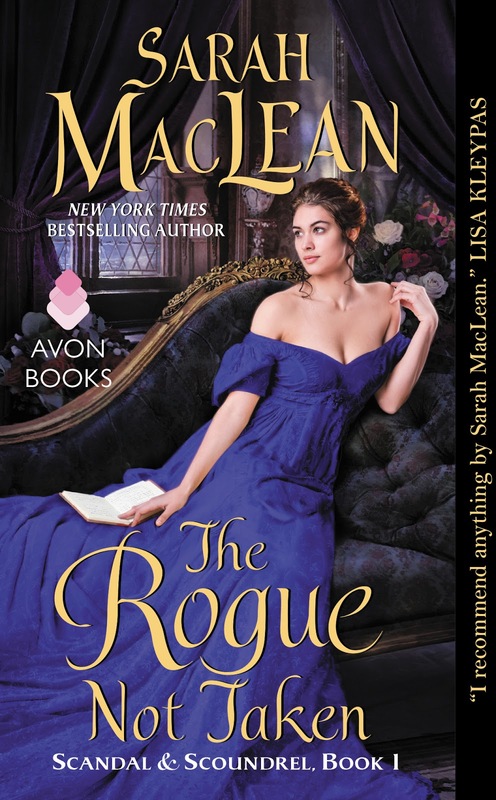 Read my review of The Rogue Not Taken HERE! I absolutely adored this book, and cannot wait for more. Don't miss this book! I can't wait to read this final novel! The wait has been agony so far! 4 stars. I have faith in Redwine's storytelling! This book did not disappoint at all. The retelling aspect was well-written, the magic was larger than life, the characters were so likable, and the romance was sweet! Sign me up for the next book! 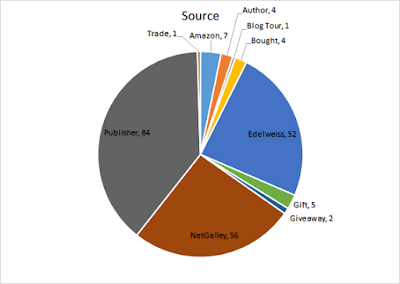 Three-Year Blogoversary Celebration and Giveaway! Sometimes I can't believe I've been at this for so long. Sometimes I feel like I'm still a newbie, finding her way in a sea of voices. Sometimes I still feel like I'm finding my way. I spent a year (2011-2012) in the blogging world, following blogs (like Erica's and Gail's!) before I started my own blog in December 2012. I was a high school senior, just finished with college applications, tucking in for the long wait to March. My life has changed so much in these three years; I honestly feel like a completely different person, and yet, wholly the same. Nothing about these past three years have been easy - my college experience especially has been, well, challenging. I have no idea who or where I would be without my blog, without the blogging community, without books and reading and escapism in the form of words on pages. Thank you to everyone who has touched my life in some way. 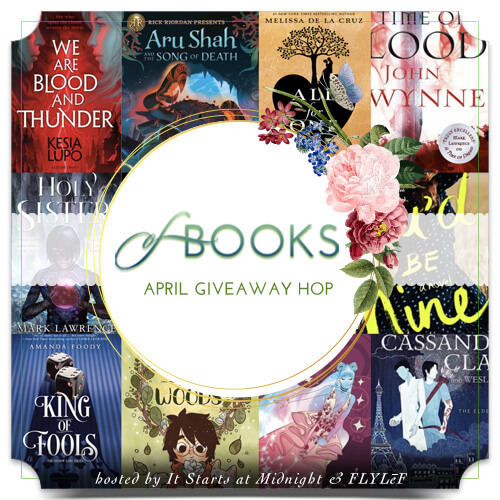 Everyone who has tweeted something to me, commented here, viewed a blog post, read a blog post, liked my reviews, followed me on Goodreads, entered a giveaway, put up with me. I have so much respect for people who deal with me! I'm sassy and opinionated and bold and not afraid to speak my mind. In books, people LOVE these types of heroines. In real life, people really appreciate my candid nature. On social media, it doesn't always come across as "sassy" or "opinionated" - but rather, possibly rude or flippant. Soooo, a special thanks to those who understand me, or maybe don't, but love/like/put up with me anyway. Pili, Carina, Liza, Lily, Erin, Sophia, Jessica, Brooke, Lauren, Nereyda, Cyra, Danielle, Nick, Mary, Alexia, Aila, Fatima, Meredith, Katiria, Rita, Amber, Jessica, Jessica, Jessica, Sajda, Cookie, Grace, Eileen, Danielle, Sam, Kel, Juhina, Celeste, Andrea, Shannon, Anna, Gail, Rachel, Racquel, Heather, Nikki, Karina, Aneeqah, Jaime, Maura, Crys, Kaitlin, Cyn, Britt, Kristen, Steph, Kelly, Marilyn, Zareena, Jessi, Thais, Therin -- maybe it was one thing you tweeted to me, or a card or package that you sent to me, or a comment you posted on my blog. Constant comments, conversations on Twitter, Goodreads likes and comments, kind words - you all are amazing for a number of reasons, and I thank you all! 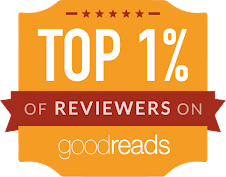 Thank you for showing my blog or Twitter or Goodreads or ME support. It means the world to me! Katie and Kelly -- my AMAZING Secret Santas this year! Katie spoiled me in #TBTBSanta and Kelly spoiled me in #SecretWitch. Thank you so much, both of you! Lori, Lori, and Rachael -- thank you for your generosity! Recently you helped me track down those last three buttons and I am GRATEFUL! Lizzie, Skye, Kelli, Sondra, Jessica, Jen, Cyra, Brittany, Mary, Emma, Crystal, for successful trades throughout the year. You all are rockstars! The three publicists at Avon, as well as the Avon Addicts -- I am so thankful to Avon for selecting me to be a round five participant! It is a privilege and honor. The Addicts are a lovely bunch, and the publicists are so kind and generous. Thank you! Jaime, Rachel, Hannah, the folks at YA Reads and FFBC -- thank you all for being amazing tour organizers, and general LOVELY people! I adore all of you and working with you all is always super easy and fun. Thank you for all of your hard work! Also Jamie for being a fabulous human being, but also for organizing so many nice things like #TBTBSanta for so many years! Rockstar! 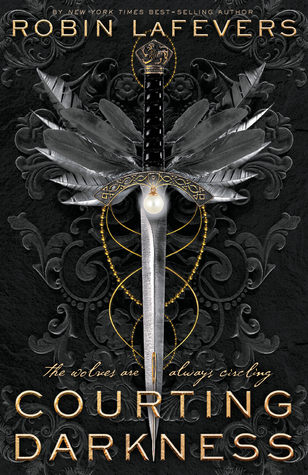 Susan Dennard - Empress Sooz, you are amazing. And so generous. I wish the world of success to you - Truthwitch is destined to be a successful book! 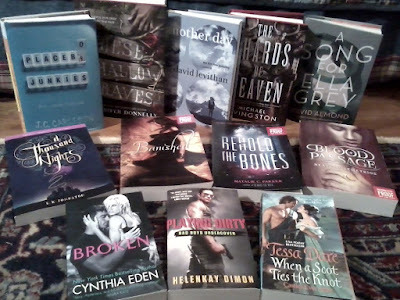 All the amazing authors I got to meet at the Baltimore Book Festival this past September! I mentioned them all HERE - thank you for coming! Thank you for letting all of us book nerds fangirl all over you. I love you all! Kathy MacMillan -- thank you for reaching out to me! I so enjoyed the opportunity to work with you and present (omg so exciting and nerve-wracking and exciting! ), and I'm honored to know you, have met you, to have read (and loved!) Sword and Verse. I'll see you in a few weeks! I could sit here and list a thousand and one authors who have done wonderful things with and for me, as well as fabulous authors who wrote amazing stories that touched my heart. Kimberley, Elissa, Melissa, Nicole, Lynne, Michelle, Christina, Emily (whose book The Accidental Movie Star was one of my first Kindle books I owned - and a favorite!) and all of the rest of the lovely authors who are amazing beyond words - thank you for being you! I'm honored to know you. Publishers and publicists too -- it's been an honor working with you all! I look forward to continue doing so in the future. Keep on rocking the publishing world! And to everyone I forgot (because I sooo did - post-semester + holiday brain = holes in brain), as well as to all the people who are reading this, I adore you! I appreciate everything that you have said or done for or to me, and for putting up with me. Thank you to my parents, for housing my preciouses (my books!). Thank you God, for everything, especially for giving me a passion for reading (who even would I be if I didn't love reading?!). Thank you to everyone who has touched my life in some way - I am grateful! I usually go through my stats but I also do that on my Dec. 31st post, so catch that in two days. For now, I will move on to my giveaway! Winner picks two books. There will be one winner chosen from my blog, one chosen from Twitter (HERE). Feel free to enter both! The top row is hardcover, middle is ARC, bottom row is paperback. This is open internationally! Anyone can enter. Good luck! And THANK YOU! 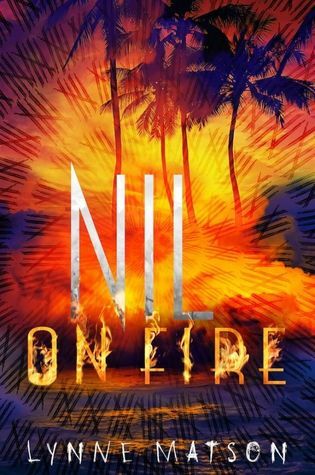 I thought the love triangle would turn out to be mild - at one point in the book, it looks like Nix is going to leave Hawaii (and Blake) forever - but that wasn't the case. So I'm ridiculously angry because the synopsis REALLY had me thinking that Nix's "love" would be Kashmir (and maybe it is, but then her "love" part 2 is Blake?). I love Kashmir. I think Blake is a waste of space. Pansy. Idiot. Weak. One-dimensional. A space-filler. The author REALLY wanted a love triangle in this book. 1.5 stars -> rounded up to 2 stars (this is my generosity at its finest, people). I'm rounding up because there is a SLIM chance that I might read the next book, if only to see what happens. If the love triangle disappears quickly into the sequel, then I'll bite. But at the moment, I refuse to think about continuing with the series. SOMEONE COMFORT ME PLEASE. It's Beginning to Look A Lot Like Grinchmas! 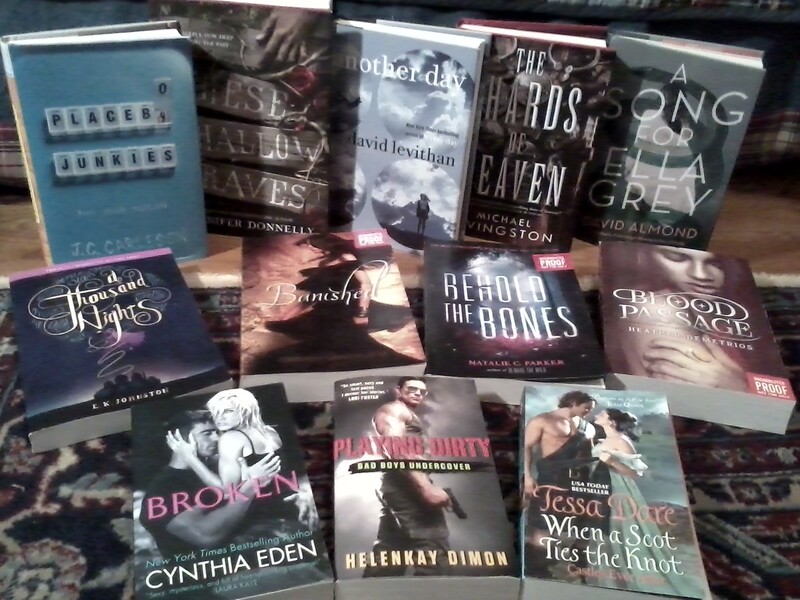 December 2015 New Release Giveaway!